If you've every had any smart items that won't sync, or won't respond to commands, or won't perform the way they promised to, you probably understand what I mean. I'm so happy to share that the latest set of smart products I've added to my home are actually among the easiest I've ever used. I recently received the Google Smart Light Starter Kit from Best Buy to review, and I'm excited to share how it works! 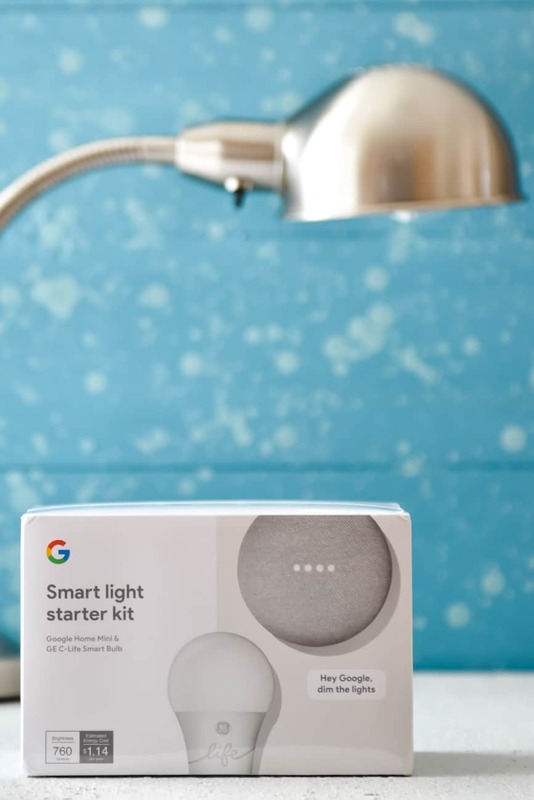 What comes in the Google Smart Light Starter Kit? What does the Google Smart Light Starter Kit do? 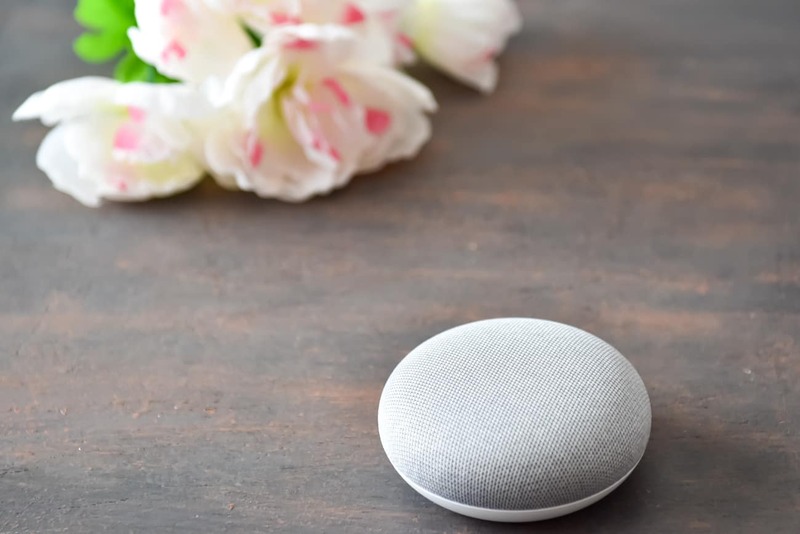 The Google Smart Light Starter Kit offers users like you and me the helpfulness of a Google Home Mini smart speaker alongside a smart light bulb, allowing you to control the light with just your voice! Why would I need a Google Smart Light Starter Kit? It will help you conserve energy. You don't need to remember to turn off the lights, because you can control it with your voice. 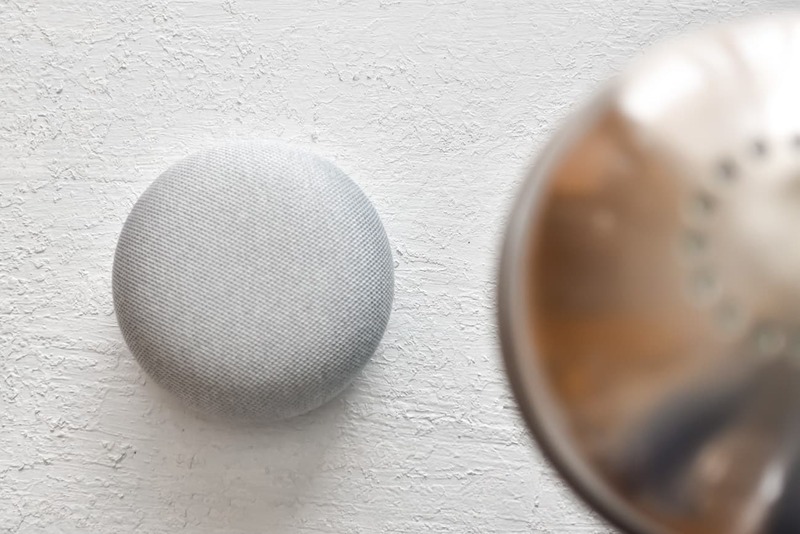 If the Google Home is within 50 feet of the smart bulb and your the Google Home can hear and process your voice, you can tell it to shut off the light from wherever you are. It's helpful. If the room is dark, tell Google to turn the light on, without fumbling with a lamp switch. If your hands are full, turn on the bulb with your voice. Why is the Google Smart Light Starter Kit better than other Smart Lights? The setup is so easy. 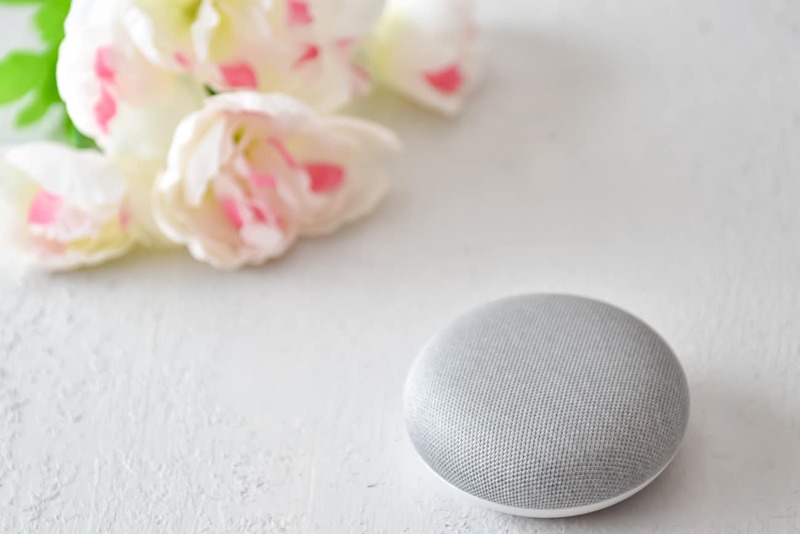 Just plug in the Google Home Mini, screw the light bulb into your fixture or lamp and download the Google Home app. The setup on your phone or tablet takes just minutes. Boom. 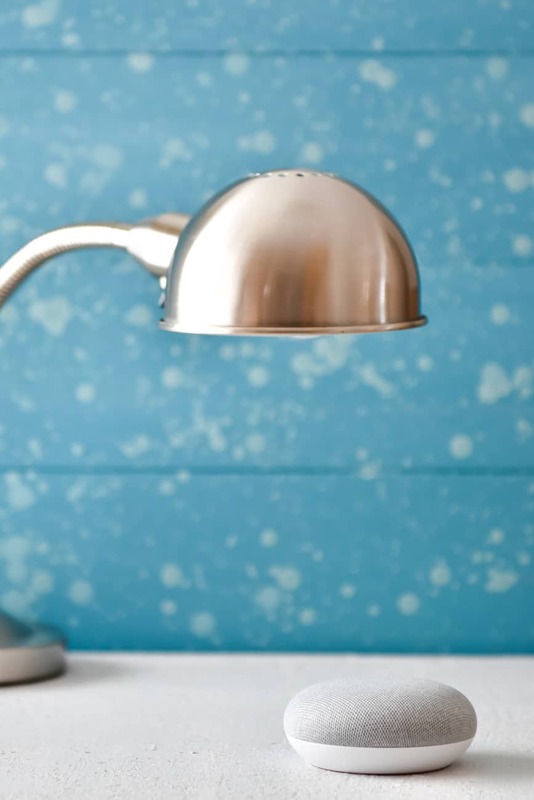 You are now the proud owner of a functioning smart light. 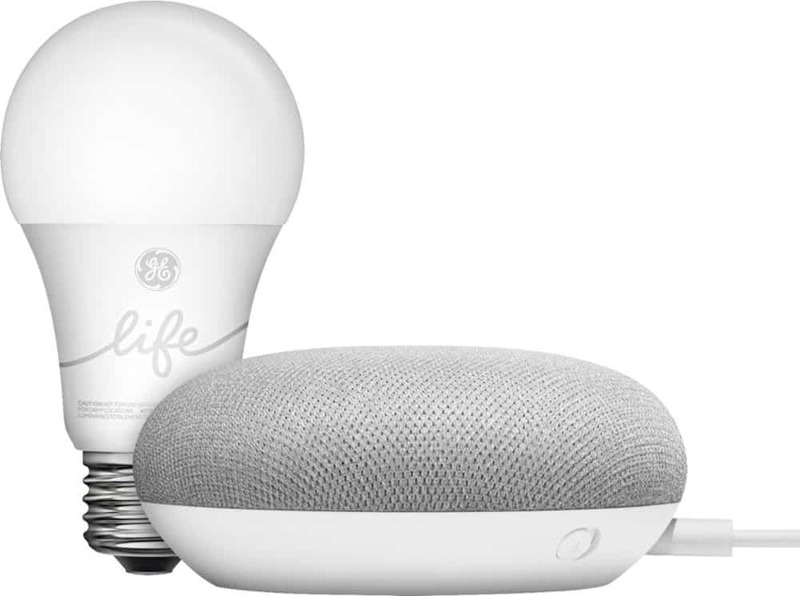 The Google Smart Light Starter Kit is super affordable. The list price point for the kit is just $55. Even better, it's brand new and it's the holiday shopping season. Recent prices have been much, much lower! When Best Buy offered me the opportunity to try out the Google Smart Light Starter kit in my own home I jumped at the chance. I've been wanting a Google Home for a long time, and I've also been wanting to introduce smart lights into our home. It was the perfect opportunity! Just like I said in the overview of the smart light, it's super easy to set up. It's actually, literally, just a bit more complex than screwing in a light bulb! After taking the Google Home Mini and the GE C-Life light bulb out of the box, I quickly set up both and had a lamp turning on and off at my command. After trying it out on my desk lamp, I decided that the bulb would be most appreciated in the lamp we have next to our front door. Why? That's the lamp that's next to my dog, Jersey's kennel. We enter the house through a different door, but the first person inside goes straight to open the dog's kennel and let her outside. I can't tell you how many times I've come into the house with both hands full and still made a beeline for my dog. It's also almost always dark outside when Jersey wakes up and lets us know she's ready to go out. Now that the smart bulb is in that lamp, I can turn on the light as I enter the room without stumbling or juggling what's in my hands. This is more convenient than I could have ever imagined! It's also a great lamp to control from other places. I can turn it on and off with the Google Home app, so that means I can switch it on if we're not going to be home before dark. It makes for a more comfortable home to walk into, and it also keeps our home from looking unoccupied. Honestly, the only things I don't love about it are the things I could get if I invested more money into different smart bulbs or products. I'd love to program color changes and have it intelligently change colors. I'd love for it to be portable. I'd love a motion sensor. Note that these are all features I want my smart bulb to do, not what the Google Smart Light starter kit is doing wrong. I can definitely get all of those things if I added different smart bulbs to my collection. And now? After experiencing the simplicity and magic of our homes first smart light? I just might do that! Shop for your own Google Smart Light starter kit now!